This evening, Prince Carl Philip and Princess Sofia attended a dinner for the Sweden-America Foundation’s 100th Anniversary in Stockholm. The Sweden-America Foundation aims to “work for the development of a relationship between Sweden, on the one hand, and the United States and Canada, on the other, by promoting the exchange of scientific, cultural, and practical experiences through presenting fellowships to young men and women for research and graduate level studies in the United States and Canada.” The foundation awards thirteen permanent scholarship funds of which twelve are used for the Fellowship Program each year. The Foundation also has a long royal connection, King Carl XVI Gustaf’s grandfather-Gustaf VI Adolf- became honorary chairman of the foundation when he was still Crown Prince in 1919. He remained honorary chairman until 1950 when Prince Bertil succeeded him. Prince Bertil remained honorary chairman until his death in 1997- in honor of his commitment to the foundation, for his 70th birthday the ”Prince Bertil’s Fellowship” was established. After the Prince’s death, his wife Princess Lilian participated in the Foundation’s annual meetings for many years and presented this award to the recipient, until she passed away in 2013. In 2001 Crown Princess Victoria became honorary chairperson- a position she held until 2016. 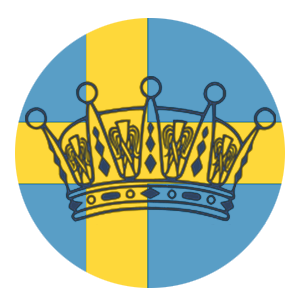 King Carl XVI Gustaf has been the organization’s patron since 1976. For this dinner, Princess Sofia wore her Ida Sjöstedt Antonia Black coat when arriving but once inside took it off to reveal a new & Other Stories Ruched Polka Dot Maxi Dress. She paired this with her Stinaa.J Elsa Patent Leather Pumps and Ole Lynggaard Shooting Star Earrings with Pearl Pendants. Her clutch was certainly the statement piece of the outfit carrying her yellow Susan Szatmary Port Doré Lime Clutch which we first got a glimpse at during the Parliamentary Dinner at the Palace. Susan Szatmary was born in Baghdad but moved to Stockholm at the age of 13 where she grew up and later went on to live in Italy and Paris where she went on to work for Alexander McQueen. While working at McQueen she was recruited to Celine and later worked for Elie Saab and Paco Rabanne. She launched her first collection baring her name solely in Spring 2019.